Resistance and aerobic exercises are both recommended as effective treatments for people with type 2 diabetes. However, the optimum type of exercise for the disease remains to be determined to inform clinical decision-making and facilitate personalized exercise prescription. Our objective was to investigate whether resistance exercise is comparable to aerobic exercise in terms of effectiveness and safety in people with type 2 diabetes. PubMed, EMBASE, CENTRAL, CINAHL, and SPORTdiscus were systematically searched up to March 2013. The reference lists of eligible studies and relevant reviews were also checked. 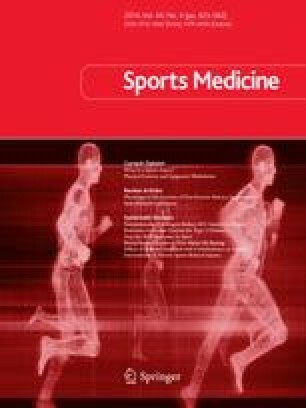 We used the following criteria to select studies for inclusion in the review: (i) the study was a randomized controlled trial; (ii) the participants were people with type 2 diabetes aged 18 years or more; (iii) the trial compared resistance exercise with aerobic exercise for a duration of at least 8 weeks, with pre-determined frequency, intensity, and duration; and (iv) the trial provided relevant data on at least one of the following: glycaemic control, blood lipids, anthropometric measures, blood pressure, fitness, health status, and adverse events. The assessment of study quality was based on the Cochrane Risk of Bias tool. For effectiveness measures, differences (resistance group minus aerobic group) in the changes from baseline with the two exercises were combined, using a random-effects model wherever possible. For adverse events, the relative risks (resistance group vs. aerobic group) were combined. Twelve trials (n = 626) were included. Following the exercise interventions, there was a greater reduction of glycosylated hemoglobin with aerobic exercise than with resistance exercise (difference 0.18 % (1.97 mmol/mol), 95 % confidence interval (CI) 0.01, 0.36). This difference became non-significant with sensitivity analysis (p = 0.14). The differences in changes from baseline were also statistically significant for body mass index (difference 0.22, 95 % CI 0.06, 0.39), peak oxygen consumption (difference −1.84 mL/kg/min, 95 % CI −3.07, −0.62), and maximum heart rate (difference 3.44 beats per minute, 95 % CI 2.49, 4.39). Relative risks for adverse events (all) and serious adverse events were 1.17 (95 % CI 0.77, 1.79) and 0.89 (95 % CI 0.18, 4.39), respectively. Most included trials were short term (8 weeks to 6 months), and seven had important methodological limitations. Additionally, the meta-analyses for some of the secondary outcomes had a small number of participants or substantial statistical heterogeneity. Although differences in some diabetic control and physical fitness measures between resistance exercise and aerobic exercise groups reached statistical significance, there is no evidence that they are of clinical importance. There is also no evidence that resistance exercise differs from aerobic exercise in impact on cardiovascular risk markers or safety. Using one or the other type of exercise for type 2 diabetes may be less important than doing some form of physical activity. Future long-term studies focusing on patient-relevant outcomes are warranted. The online version of this article (doi: 10.1007/s40279-013-0128-8) contains supplementary material, which is available to authorized users. The authors thank the Global Scholarship Programme for Research Excellence—CNOOC Grants for 2012–2013 offered by The Chinese University of Hong Kong. AJF is an NIHR Senior Investigator and receives funding from NIHR Oxford Biomedical Research Centre. CAS is an NIHR funded GP Academic Clinical Fellow. ZY, JT, and AJF contributed to the conception and design of the study. ZY, CAS, CM, and AJF contributed to the acquisition of data. ZY, CAS, and AJF contributed to the analysis and interpretation of data. All authors contributed to drafting the article or revising it critically. All authors approved the final version to be submitted.